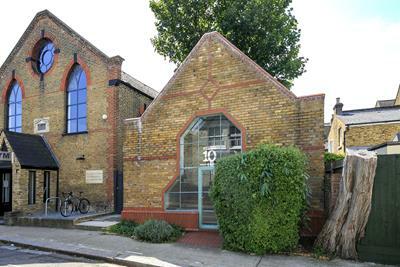 If you have outgrown your home office then this characterful self contained detached studio with office usage tucked away in this quiet location and convenient for the Chiswick High Road is possibly the answer. Offering a GIA of 660sqft the office space would suit a three or four person business. Perfect for a creative person, architect, designer the property offers double height ceiling, kitchen, cloakroom, separate first floor office and shower room. Low outgoings. 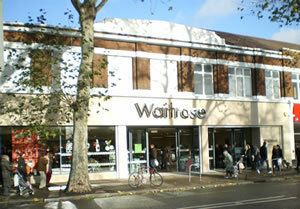 A new report by Lloyds Bank is claiming that Chiswick property prices are much higher the rest of the borough due to a ‘Waitrose Effect.’ They believe having a premium supermarket in your area means that you will have to pay much higher prices for a home and that there is only one other place in the UK where this effect is stronger than in W4. 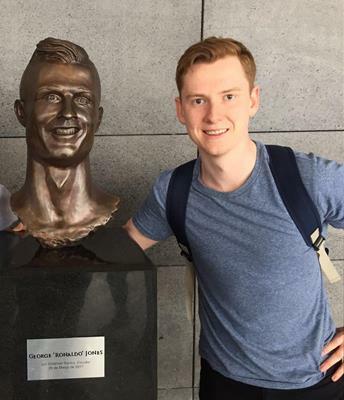 Andrew Nunn of Andrew Nunn & Associates wasn’t inclined to take the research that seriously and said it reminded him of a Michael Mcintyre sketch for which he helpfully sent us a link to the video below. We still have some of our handy desktop calendars available in our office. When you are passing feel free to pop in and pick one up. The calendars contain local event dates and sporting events throughout the year. January can be a struggle with the fun of Christmas over and it is back to our routines with a full calendar year ahead. So to beat those January blues get out there and enjoy what Chiswick has to offer. 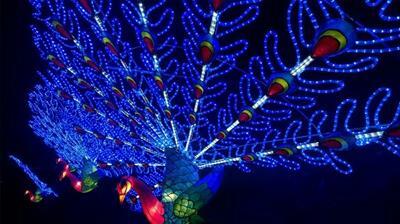 The Magical Lantern Festival, with a celebration of lanterns and Chinese culture has returned to Chiswick House and Gardens starting last week on 19th Jan until 26th Feb. The theme this year being “Explore the Silk Road”. As well as life size and over size lanterns depicting the trade route from Europe to China there will also be a plethora of international cuisine, 30 metre ice rink, mini fun fair and virtual reality gaming experiences. From January 2017 Andrew Nunn Associates will be West London’s only estate agency to be able to offer their clients the ability to exchange legally binding contracts online with just the click of a mouse. Clicktopurchase® is the first, and currently only platform, in the UK to enable clients to buy and sell commercial and residential properties securely over the internet. • Online real time auctioning with a live auctioneer interacting with the bidding audience. Earlier this year the total value of properties sold/purchased by an online clicktopurchase® exchange, by private treaty, best offers or real time auction, passed the £150m barrier. Andrew Nunn strongly believes in putting their clients in the driving seat and this facility not only enhances that offering but will provide real benefits to those customers who choose to use it. Thank you to all who came on Wednesday evening for a glass of Champagne and Mince Pies! It was lovely to catch up with so many people, we look forward to seeing you all again soon. 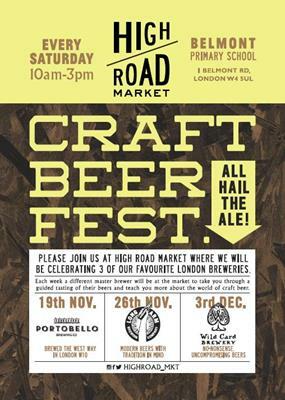 West London will be treated to a taste of the local craft beer scene as High Road Market brings a series of free weekly guided tastings to the market, as well as some great street food to help wash it down. The tastings are completely free of charge and will be an excellent opportunity to learn all about craft beer from industry specialists through a series of talks about the art of brewing as well as an opportunity to meet the brewer. The idea being you will learn all about how beer is brewed from start to finish. The visiting brewers will bring their expertise, their ingredients (malt, yeast, hops et al), their history and – most importantly – their fantastic beers for sampling. Championing West London’s local food and drinks scene is something that High Road Market wants to become known for: being a hub of food and drinks activity as well as a quality one-stop-shop. These events, demos, talks and tastings, are just one facet of the market, which aims to bring a bit of excitement and innovation to West London. It has been announced on an official TfL twitter account that the night tube services on the Piccadilly line are to be launched on the 16 December. The weekend night tube service on the Piccadilly line which will serve Turnham Green will be running on average every 10 minutes throughout the night on Fridays and Saturdays, however there will be no service on the Terminal 4 loop, or between Acton Town and Uxbridge. Once the Night Tube is operational, London Underground say they will continue to work with residents to investigate any issues regarding noise. They have also promised to ensure that any station announcements do not cause excessive noise levels. Sadiq Khan, said: “We’ve seen how enthusiastically Londoners have embraced the Night Tube, and I am delighted that we’ve exceeded expectations with more than one million journeys made already. TfL claim the Night Tube will cut night-time journeys by an average of 20 minutes, with some cut by more than an hour. 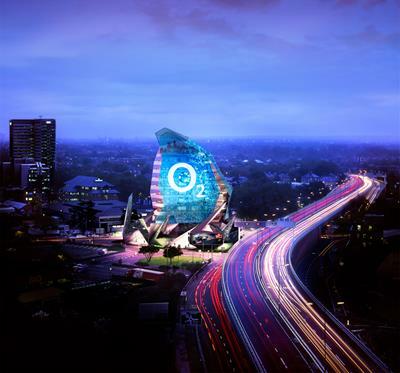 It will also play a vital role in opening up London's night-time economy, supporting almost 2,000 permanent jobs and boosting the economy by £360m. Late night Tube use has increased at double the rate of day-time trips and Night bus usage has risen by 173% since 2000. 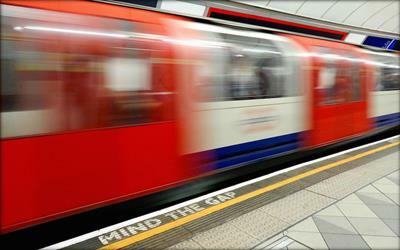 There are already over half a million users of the Tube after 10pm on Fridays and Saturdays. 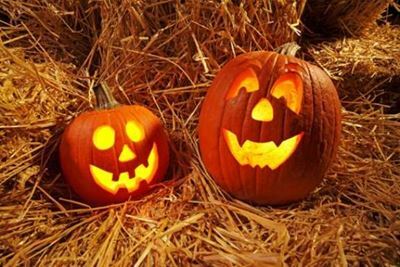 For many this is their favourite time of year, beautiful colours or the changing autumn leaves, an excuse to dig out those cosy socks, pumpkin spiced lattes in Starbucks….and an excuse to take your children around to your neighbours to terrorize them for candy!! However for those looking for alternatives this Halloween season there are many things going on in and around our lovely corner of West London. Over at Chiswick House and Grounds they are having ‘Crafty Pumpkin Fun’. During half term on the 25th October you can join them in the Walled Kitchen Garden to carve a pumpkin, learn how to make a bug hotel or bird box, decorate a spooky mask and listen to story tellers. Follow their scarecrow and garden detective trail and shadow a gardener. Two craft workshop sessions in the morning and afternoon, 10.00 – 12.30 & 13.30 – 16.00. Tickets £7.00 per child. All children must be accompanied by an adult (free). Please see the website below. Properties worth more than £1m generated 50% of stamp duty land tax revenues in 2015-16, figures published today by HMRC reveal. This represents a clear increase from 2006-07, when properties in the same financial band brought in only 36% of the surcharge. The number of residential and non-residential property transactions where the value of property was £250,000 or less has decreased from 81% to 65% between 2006-07 and 2015-16. The proportion of total SDLT revenues from these properties has also fallen, from 19% to 8% – an expected outcome given high levels of house price growth in recent years. Transactions valued over £5m generated 25% of SDLT receipts over the period. These largely represent non-residential sales. A significant 46% of stamp duty receipts in 2015-16 came from London, where house prices have risen sharply. 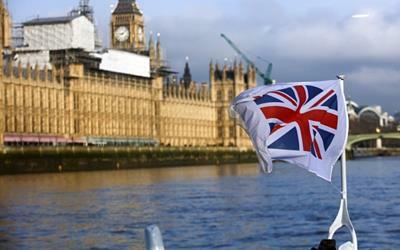 One single London borough – Kensington and Chelsea – contributed 7% of revenues for the country, at £514m. 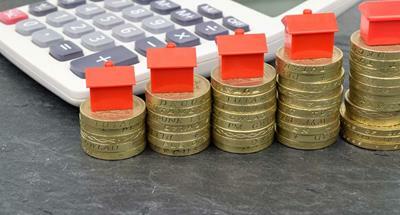 Stamp Duty - A Market Killer? 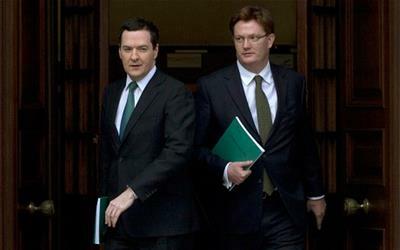 We strongly feel that a “u turn” in stamp duty rates in the Chancellors autumn statement would be welcomed. The punitive rate of this tax is singularly stifling the market as buyers and would be movers resent the sheer scale of the tax payable from taxed earnings. Paying tens or hundreds of thousands of pounds simply to move house is totally unrealistic and has killed of fluidity in the marketplace suggests Andrew Nunn. At this level there are simply too many tangible alternative investments for a buyer to consider and unless the rate is changed we will see more basements being built in every street. In turn transactional volumes are reduced which means London prices will remain artificially high and revenue for the tax office will fall……..neither scenario can be that palatable for the current government. Don’t forget the Grove Park Music festival start their annual event to kick off autumn in Chiswick. Starting on Friday 14th October at St Nicholas’ Church with Laurence Cummings directing Amici, The English Cornett and Sackbutt Ensemble and the Monteverdi String Band in one of the greatest classical works of all time. Sunday 16th October at St Michaels Church with Chris Glynn, piano, one of the festival vice presidents will be accompanied by some of the UK’s greatest artists who have permed at the festivals including Sally Burgess, Audrey Hyland, Joanne Lunn, Ian Partridge to name a few. 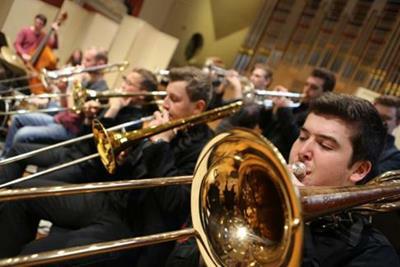 Saturday 22nd October at The Musical Museum with The Royal Academy of Music Big Band, directed by Keith Nichols, will play a selection of rare pieces from the Swing era, several of which have not been performed since the 1930s. So the summer market has been steady after the turmoil that proceeded the EU referendum result. Whilst buyer numbers have been seasonally low the good quality correctly priced properties have gone under offer during July and August. We anticipated a steady remaining four months to 2016 with long term owner occupiers looking to buy and taking advantage of some of the cheapest mortgage deals seen in decades and investors looking to take advantage of plenty of supply. Whilst the roller coaster of conflicting economic reports is likely to continue over the coming weeks we sense the fundamentals of the London property market remain strong with limited quality supply and steady demand. A new restaurant in Grove Park. 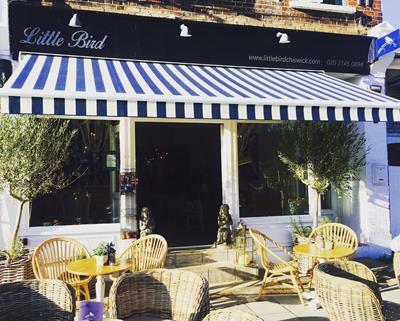 Little bird in Grove Park is Lorraine Angliss’ newest venture following Annie’s and Rock & Rose, serving what is being described as Mediterranean street food tapas. The décor is fashioned in Lorraine’s signature fun and eclectic style creating a beautiful ambience in this quaint boutique restaurant. 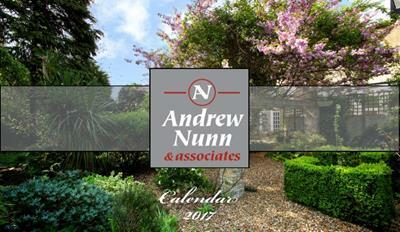 Andrew Nunn & Associates staff have been keen to try the new venture after a review from our colleague Joanna. The cocktails were fantastic the food divine, even though the dining space is small the setting was perfect for a summer evening. However maybe more of a treat than a regular outing (£££)! The kitchen is headed up by Michelle Lepherd who has previously worked at the River Café and also St. John under the guidance of the famous Fergus Henderson. locally sourced and she will use local suppliers as much as possible. The menu will include Asian and European food. Oktoberfest is coming to Chiswick for five days in August. 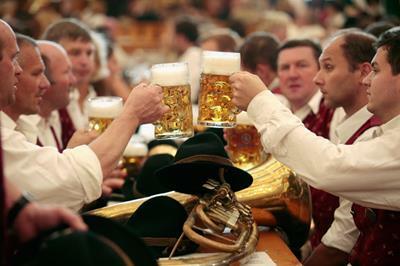 Festival goers will be able to enjoy an array of German beer, food and live music. The organisers have told local people that their German beer-festival on Acton Green Common will be highly organised after concerns being raised. The festival will be based in a giant marquee on Acton Green with a capacity of 1500, all seated. German oompah music from a live band will stop at 2200 and the DJ will stop at 2230. Local residences opposed to the festival taking place believe it could lead to anti-social behaviour and they say such an event is not suitable for a Conservation Area. This will be the 100th Oktoberfest that will be held, preparation for the event will start on Monday, 8 August. It has been reported that buyers from mainland Europe have largely withdrawn from the market in expensive London homes as they await the outcome of the UK’s June referendum on EU membership. Just 9 per cent of people buying “prime” central London houses and apartments in the first quarter of this year came from other EU countries, compared with 29 per cent a year earlier and a five-year average of 20 per cent. This is despite a 10 per cent fall in sterling against the euro that has made UK homes significantly cheaper for European buyers. Interest in Buy-to-Let drops by over a quarter as tax changes begin. Some buy-to-let investors took a break from looking for new properties in March as the new tax changes deadline loomed, new data from Rightmove reveals. Whilst Rightmove recorded its busiest ever Q1 for enquiries to estate agents, the intentions of buyers shifted in March, with the number of people saying they were planning to buy a property to rent out dropping by 27% compared to the same month last year. This contrasts with the increase in interest seen from investors between December and February as they tried to make last minute purchases before April’s additional 3% tax deadline. This waning of interest definitely seems to predict a slowdown in the buy-to-let market, but what’s not yet clear is if this will only turn out to be a short-term pause. It could be that some investors are waiting until the tax changes have some time to bed in before they review their business and continue to make purchases. If this removes some of the competition for smaller properties then it could spell good news for many first-time buyers with a deposit ready as they may find now is the ideal time to make a move. “We have witnessed a general decline in enquiries from investors since the beginning of 2016 and those that have enquired have already made their purchases in-line with the incremental stamp duty deadline of 31st March 2016. 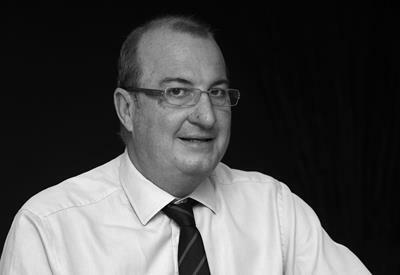 As investors, domestic and overseas have been prolific in acquiring property over the last four years – their sudden absence in the current market almost certainly will lead to a softening of prices, particularly in the highly competitive flat market where we have also seen a dramatic increase in supply levels. This will then give first time buyers a greater opportunity to enter the market and purchase their first homes in a less competitive arena. 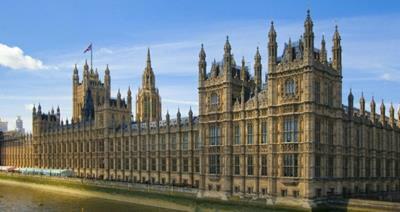 Stamp Duty weighing on luxury housing market? Its claimed the higher stamp duty has hit the luxury London housing market, sending its shares and housebuilding stocks lower. An upmarket house builder, which focuses on London and the south-east, said reservations for new homes were 4% lower between November and February, compared with the same period a year earlier. It sold 62 homes worth more than £2m each, a similar number to a year earlier, when the market slowed in the run-up to the general election. Its been warned that Britain’s housing supply could be hit by what it called “one of the world’s highest property taxation regimes” along with planning issues, pointing to “sometimes conflicting policies”. Transaction levels at the upper end of the housing market have been affected by the significant increase in transaction taxes over the past 18 months, which will have consequential effects on both social mobility and the supply of new homes. Purchases of homes costing more than £937,500m became more expensive after an overhaul of the stamp duty regime in December 2014. For example, the effective tax rate on a £2.1m property went up to 7.9%, an increase of £18,750. And from April, buyers of second homes and buy-to-let properties face a further 3% stamp duty surcharge. Investment bank Morgan Stanley and investment firm LCP are predicting that prices for luxury flats will fall amid a glut of new-built properties. However, despite global macro uncertainty, including the impending UK European Referendum, underlying demand has remained strong. In another sign that luxury housing schemes are struggling to attract buyers, more than 80 apartments on sale at Battersea Power Station in south-west London have had their asking prices slashed since the start of the year, according to the property firm Propcision. Brexit may spark correction in the rental market? It has been suggested in recent surveys, as the debate on Brexit grows, that international companies could flee from London if the UK severs ties with Europe. Up to 200,000 workers could leave London if the UK exits the European Union, resulting in a huge correction in commercial property prices, research has found and this could have a knock-on effect for residential property, as highly paid members of staff who are employed by international companies move elsewhere to work, this could mean a surge of rental properties which have comfortably been housing corporate tenants for a number of years could flood the market. 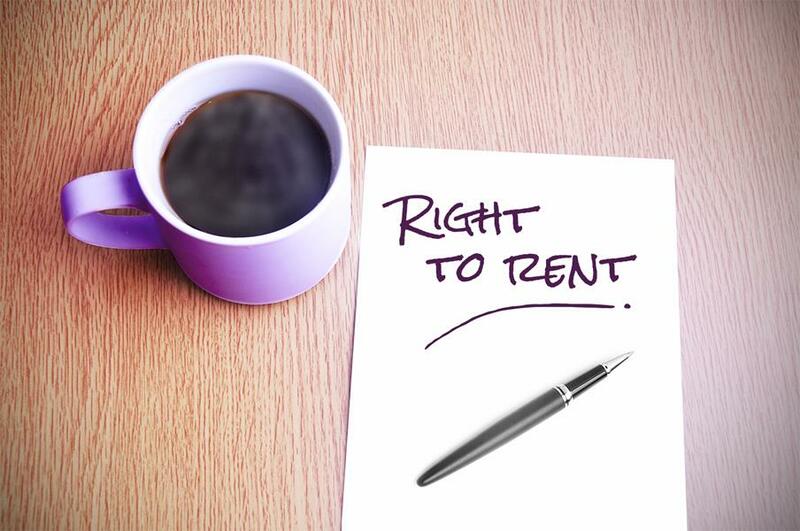 From the 1st February 2016 the Government’s Right to Rent scheme was introduced in England. This means it is now the landlord’s legal responsibility to carry out checks to ensure that all adult tenants, occupiers or lodgers have the legal right to rent in the UK for new tenancies. 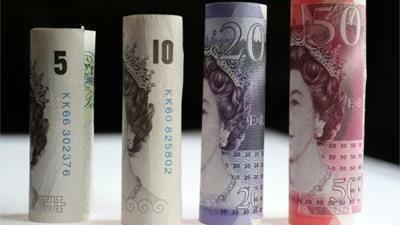 Landlords who fail to make checks are at risk of a potential penalty of up to £3000 per tenant. The adult has a right to rent in the UK. If a tenant has a limited time remaining in the UK, you must check these documents again to ensure their right to rent has been extended. Follow up checks must be carried out just before the expiry of the date or 12 months after the original check, whichever is the later. If you find out your tenant no longer has the right to rent in the UK, you must report it to the Home Office. As a professional letting agency, we will ensure these checks are carried out for all new tenancies on your behalf. In another attempt to get buyers onto the property ladder the government has created the Help to Buy scheme to help ‘hard-working’ people take steps to buy their own home. 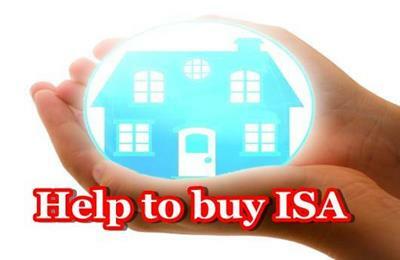 The new Help to Buy: ISA will pay first-time buyers a government bonus of 25% on top of savings. For example, save £200 a month and they’ll add £50, up to a maximum of £3,000, boosting your ISA savings of £12,000 to £15,000. Many of us may have been watching the Autumn statement with hopes there will be a shift on Stamp Duty, in favour of buyers. However in a surprise move it was announced by the chancellor that Stamp duty will be increased for buy-to-let properties and second homes. 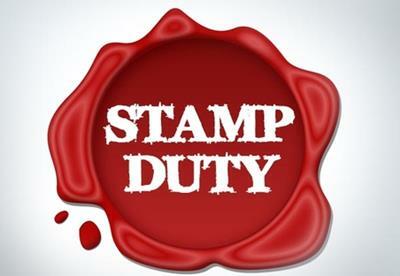 From 1st April 2016 there will be higher rates of stamp duty applied of 3% above the current stamp duty rates. 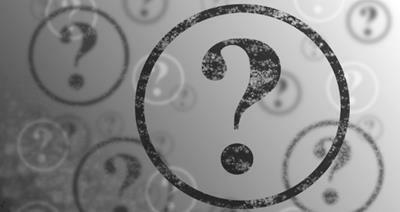 As this can be interpreted in different ways it is difficult to know the exact additional cost. The figures below provided by Capricorn Finical are the worst case scenario, where the 3% increase is applied to all the current stamp duty bandings. The following image shows the potential changes to stamp duty. These calculations will be subject to change, if the rules are implemented in a different way. Perhaps for those considering purchasing an investment property or second home may want to do this in the new year to avoid the extra tax! 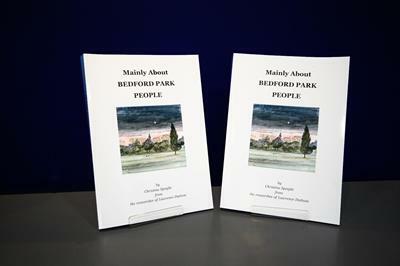 We are delighted to have been given a number of copies of this fabulous book focusing on the history of Bedford Park People and published for the second edition, by Christina Speight, in memory of her partner Lawrence Duttson. Originally published some 20 years ago by Lawrence the book catalogues people and places with the conservation area since its inception in 1875. If you are a Bedford Park resident and would like a copy of this book then please pop into our office. Prior to 1st October, landlords are required to carry out a Legionella Risk Assessment on any rental property. Legionnaires disease is an illness caused by bacteria that is common in natural (rivers and lakes etc.) 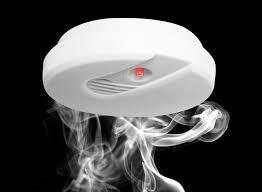 and artificial water systems (storage tanks, pipework, taps and showers) and if exposed to tenants can be fatal. Landlords are under a duty to ensure that the risk of exposure to tenants, residents and visitors by Legionella is properly assessed and controlled. Legionella risk assessments are now a statutory legal requirement under the Control of Substances Hazardous to Health Regulations 2002, in exactly the same way that annual gas safety certificates are a statutory legal requirement under the Gas Safety Regulations 1998. There seems to be a general misconception that gas safety checks are mandatory, but legionella risk assessments are just ‘best practice’, but this is not the case. An assessment can be carried out by a ‘competent’ person. A ‘competent’ person does not need to be a contractor, and can be ‘someone with the necessary skills, knowledge and experience’ in understanding how legionella bacteria grows, how it becomes a risk, and what steps can be taken to reduce the risk. If you wish to carry this out yourself we suggest you follow the guidance of The Health and Safety Executive (HSE) at http://www.hse.gov.uk/legionnaires/faqs.htm. Alternatively if you wish to organise for a specialist water treatment company please contact Suzana in Property Management for more information on 0208 995 1600 or suzana@andrewnunnassociates.co.uk. Should the assessment show the risks are low and are being properly managed, no further action is needed. Should the assessment show the risks are high, immediate action should be taken. It is important to review the assessment regularly in case anything changes in the system. "As the Rugby World Cup starts to gain momentum so does the activity in the lettings market. Interest from tenants in the Chiswick rental market has been excellent over the last month with a record number of move ins taking place during September" comments Andrew Nunn "our new welsh negotiator, George Jones, has had an exceptional month negotiating new lets whilst his team also had a result at Twickenham on Saturday night"
George comments "I’m very pleased with the success we’ve had in lettings over the last couple of months and intend to keep progressing throughout the Autumn and Winter months. With a solid flow of properties letting, we need to focus on attracting and retaining new clients in order to continue our success. I believe we’re currently providing a seamless service to our landlords - often letting properties at asking-price and to reliable and thoroughly-referenced tenants. In circumstances where properties are not getting enough attention, we’re providing honest and straightforward advice as to any changes which need to be made to secure a great deal." 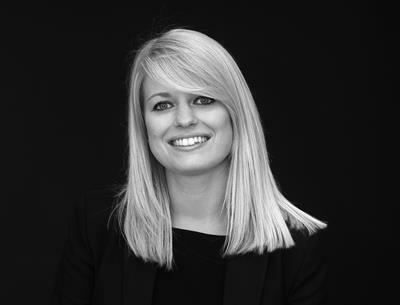 Andrew Nunn Associates are delighted to have Katherine McDowall join the team as Lettings manager. Katherine has been working in the West London Lettings industry for a number of years, with the last three of those years based in Chiswick. 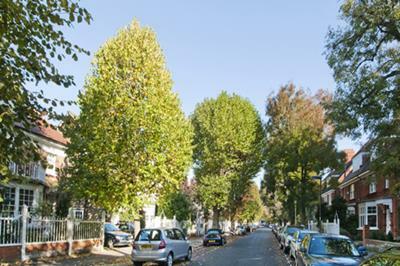 Katherine has gained an excellent insight into the local market and the surrounding neighbourhoods of Brentford, Hammersmith, Acton and Ealing. She also has a number of industry qualifications including the ARLA Technical Award in Residential Lettings and Property Management. 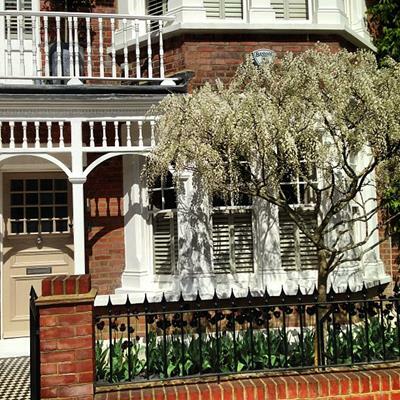 “Katherine's professionalism and in depth knowledge of the Chiswick rental market is a perfect fit for our business", suggests Andrew Nunn "and furthermore her focus and management style has already had a positive impact for our rental business and clients alike to the extent we are now short of available stock and keen to attract more business". 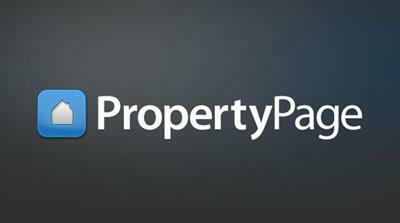 OnTheMarket.com is now firmly placed as a leading property portal and all our rental properties can be found here. 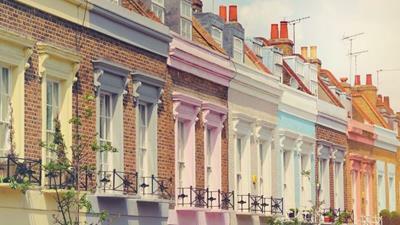 The portal promotes quality rental property from some of London's leading estate agencies. It is easy to navigate and offers a no nonsense approach to sourcing your next home. On 26 May 2014, the Mayor of London, Boris Johnson, launched the London Rental Standard (LRS). This bold initiative is designed to raise professional standards in the capital’s private rented sector by providing a consistent benchmark of accreditation for consumers. LRS is a voluntary set of minimum standards that the Mayor expects of letting agents who operate in London’s private rented sector. The Association of Residential Letting Agents (ARLA) has been appointed by the Mayor as one of the accrediting bodies for London Rental Standard. As an organisation, we believe in maintaining the highest professional standards in the sector and have long called for more regulation of letting agents. ARLA fully supports the aims of the London Rental Standard. It is crucial we eliminate the small minority of rogue landlords and agents who neglect their responsibilities and bring our industry into disrepute. We are therefore proud to be working with the Mayor on this first step towards a more regulated industry. 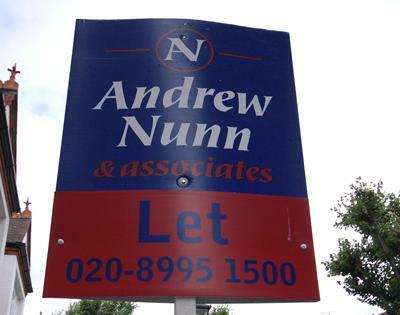 Andrew Nunn and Associates have been located in Bedford Park for 27 years and Andrew is once again sponsoring some key elements of this Year's Bedford Park Festival which starts next weekend on 12th June. 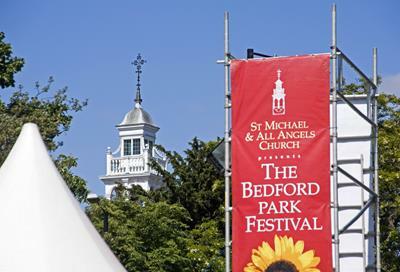 Andrew tells us what he loves about living and working in Chiswick and in particular why the Bedford Park Festival is so important to him as well as what else he is involved in around the area. The site is seeing strong engagement from consumers in terms of pages viewed per visit and time on site and a high percentage of repeat visitors. This reflects both the quality and range of agents and properties listed with us and the usability of the portal. Our multi-million pound national TV, press and online advertising campaigns continue and we expect to see substantial further growth in traffic over the coming months. Rock in a Hard Place is a brand new musical that tells the story of the life of St Paul through an eclectic mix of musical styles including gospel, rock 'n roll, ragtime and rock ballad, together with traditional chorales and recitative. It is to be given its premiere at St Paul's Church in Grove Park on the evening of Sunday 7th June at 7pm. The musical score is by the renowned West End musical director Michael Reed, who has collaborated with writer and lyricist John Theakston on this exciting new production. 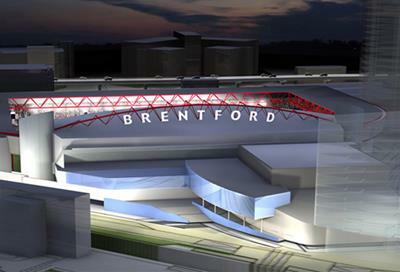 Brentford Football Club have announced plans to move to a new site near Kew Bridge and plan a purpose built 20,000 seat stadium and residential apartments. 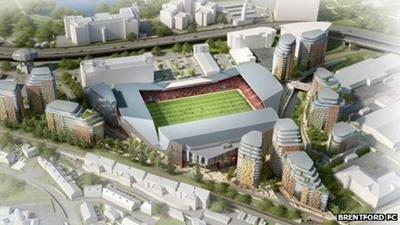 Brentford Football Club is set to move after its plans for a 20,000-seater stadium were approved. 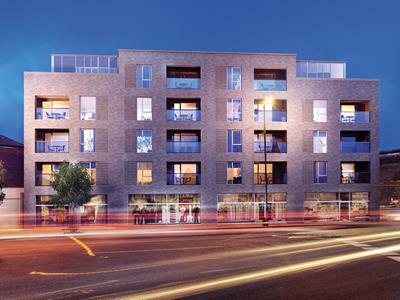 The scheme, which includes up to 910 residential apartments and would be on a site between Kew Bridge railway station and the M4, was approved by Hounslow Council on Thursday night. The Bees hope to move to the 7.6 acre site on Lionel Road from Griffin Park for the 2016-17 season. It will now be subject to referral to the mayor of London and the government. Mortgage brokers and property professionals have said that government support for home loans, announced in the Budget, is a "significant step forward" for buyers. Research by one estate agency suggested that more than 600,000 home sales could be supported by the new policies. 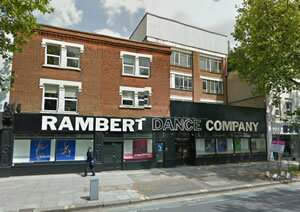 Picturehouse is forge ahead with its conversion of the Ballet Rambert into a five-screen cinema following the granting of planning permission last night (Jan 16). The cinema could be open for business in early 2015. A Council planning committee meeting voted in favour of allowing a cinema facility with five screens, a bar and cafe. 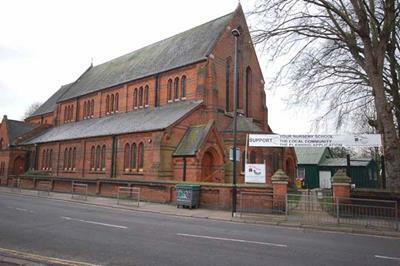 The refurbishment is expected to cost between £3m and £4m and the company says it will create twenty full-time jobs and fifty part time jobs. In December this year our lettings Manager, Boyana Paunovic, will be spending time serving food to London's homeless. Crisis at Christmas operate a number of centres throughout the capital and we encourage more people to help "bring some Christmas cheer" to those living on our streets. More than 3000 people are expected to attend the centres for much needed food and warmth. All of our properties are now available on facebook! To view our properties on the worlds #1 social media platform, click here! Foreign property owners will be made to pay UK capital gains tax when they sell homes in Britain, the chancellor has announced – in a move intended to raise £70m a year by 2018-19, mainly from wealthy overseas investors. The move, outlined by George Osborne in the Autumn Statement, goes some way towards bringing London into line with other global property investment locations – such as New York, Paris and Hong Kong – where foreign buyers face much stricter tax rules in order to shield local home buyers from the inflationary effects of international demand.From April 2015, homeowners who are non-resident in the UK for tax purposes will become liable for CGT on any increase in property values after that date. Concerning UK domiciled landlords, at present, owner-occupiers who become landlords can claim private residence relief from CGT if they sell the property within 36 months. From April 2014, this exempt period will be halved to 18 months, “to reduce the incentive for those with multiple homes to exploit the rules”. 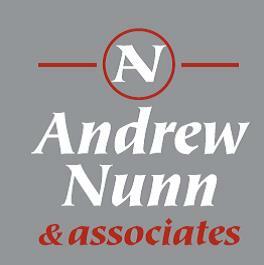 Andrew Nunn & Associates are delighted to be the main sponsor for this years groveSTOCK 2013. Chiswick’s premier music festival is back on September 14 with the best line-up ever and live music on the outdoor stage from 3pm to 10pm. Enjoy the deft lyrics and catchy harmonies of Taxi Joe, sing along with Rogue 5 and then dance the night away with The Fat Chance Band. And throughout, be charmed and entertained by the wit of Star stand-up compare Patrick Monahan. 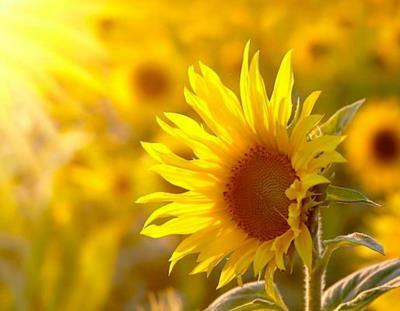 Held in the heart of Grove Park in the Vicarage Gardens at the corner of Hartington Road and Grove Park Road, groveSTOCK is about have a great time, listening to some live music and enjoying the atmosphere of a great little music festival. We are delighted that Julien Vidal has joined us to compliment our sale team here in Chiswick. Julien brings six years experience of selling French Property to London based clients and is also an expert in French tax matters! 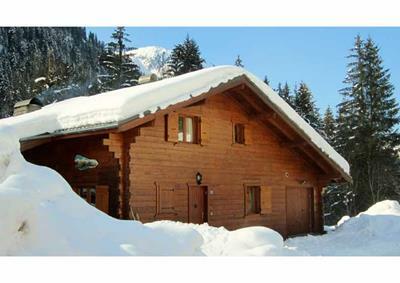 The Perfect Retreat....and the skiing is not bad either! 40% growth in London house prices? The London property market is set to surge more than 40 per cent over the next five years, according to a forecast today. Average prices in the capital will smash through the £500,000 mark as the economic recovery gathers pace and mortgages become more freely available, said City forecasters the Centre for Economics and Business Research. But the report insisted that the “prodigious” rise was nothing to worry about and merely reflected the capital’s success as a global metropolis. It said the surge “is being driven by the fundamental fact that people want to live in the capital with its employment and cultural opportunities”. London house prices have been rising steadily since the early summer of 2009 when the Bank of England slashed its interest rate to a record low of 0.5 per cent. Prices broke through their pre-financial crisis highs in spring last year and are rising at a double-digit rate in many parts of London. The CEBR projections shows the average price standing at £566,000 by 2018. 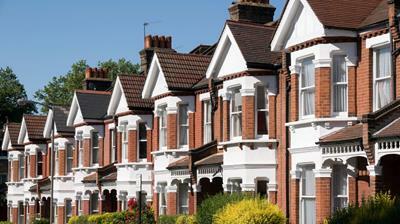 The latest bullish forecast came as figures showed mortgage approvals standing at a new five-year high. 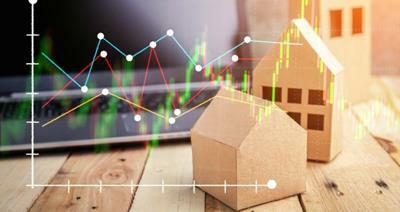 Banks and building societies gave the all clear to 62,226 home loans in August — normally a quiet month for the property market — the most since the early days of the credit crunch in February 2008. A further rise in the volume of mortgages is expected in the autumn after David Cameron ordered the launch of the second phase of the Government’s £12 billion Help to Buy scheme to be next week instead of January. It is aimed at assisting buyers by providing a state guarantee of home loans representing up to 15 per cent of the purchase price. 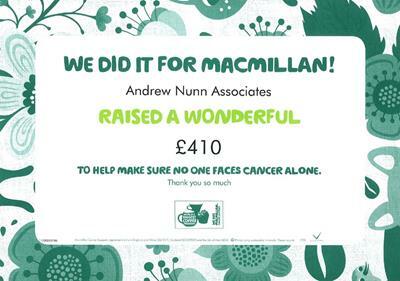 On Saturday October 12th Andrew Nunn Associates joined in the worlds largest coffee morning on behalf on Macmillan Cancer Research. 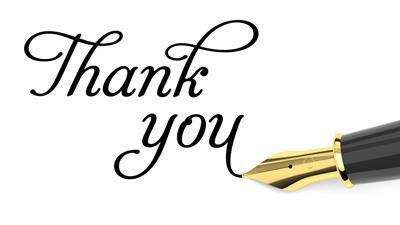 The morning was a great success and well supported by our clients and buyers alike. In total we managed to raise over £400 for this great cause. Out thanks go to Lavelli in South Parade for their help and assistance. charity auctions, fundraising games and dancing to a live band. Tickets £75 per person in aid of St Michael & All Angels' Organ and Parish Rooms Appeal. We are delighted to have a new mobile website up and running. This will make browsing our properties so easy, giving access to all our sales and lettings data on your mobile phone. Mortgage lending starting to ease? Latest launch from HSBC with lowest ever two-year fixed rate mortgage at 1.99pc. New-home building in the UK last year hit its highest level since the financial crisis, with London's build-rate the strongest for 25 years, according to a report. New-home registrations in the UK rose by 28% in 2013 to 133,670, the highest number since 2007, the National House Building Council (NHBC) said. 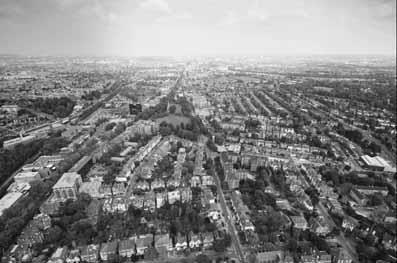 In London, 26,230 new-build homes were registered, a 60% increase on 2012. 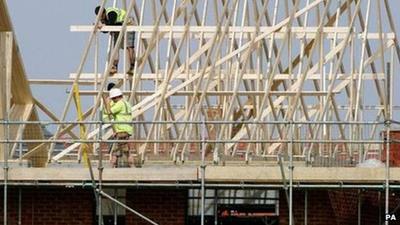 But the NHBC warned that a new-home shortage was pushing up prices. NHBC chief executive Mike Quinton said: "Looking back at 2013 it is very clear that it has been the best in a number of years for the sector as a whole, across the entire country. Earlier today the Royal Institution of Chartered Surveyors released their report predicting an average house price inflation of 8% across the UK with London leading the way at 11%. Earlier in the weeek the governor of the Bank of England suggested he has house price inflation in London firmly on his radar and if necessary has the tools to control any unreasonalbe growth without affecting the finely balanced UK economy. Easter rush leaves us with few properties to sell! Andrew Nunn quotes "after a very busy time before, during and after the Easter break we are now almost sold out of our avaialble properties. Demand from overseas buyers and the westward migration out of town has left us with an interesting problem.......very little to offer new buyers. Should you be thinking of selling this Spring then now is definitely the time to be talking to us and working out the most appropriate strategy for selling your home". To enhance our ability to connect with you and provide excellent service, we are constantly on the lookout for innovative new approaches. So when we met the team at Source, a unique digital lifestyle service, we immediately agreed a partnership we think you will greatly benefit from. Source promises to deliver "Lifestyle at your fingertips". It's a smart and intuitive mobile app that, whilst providing informative content about a range of lifestyle interests, allows you to effortlessly request and tailor bespoke products & services on the go using the in-built interactive chat. If this sounds exciting why don’t you give it a go for your next request from us? to request an access code for the trial membership we have agreed for our customers. We are proud once again to be part of this festive occassion and the SMAAA Advent Calendar. We thank all the "artists" for their creative help in compiling the calendar and....Happy Christmas to all. The London Octopus is not just a wonderful landmark building which graces the entrance to one of the world’s greatest capital cities, it represents the ultimate world wide branding vehicle. A 7,000 sqm office building with a 2,650 sqm LED shroud provides an infinite opportunity to express branding and CSR messages, in as bold or as subliminal a fashion as can be imagined. Andrew Nunn & Associates are delighted to be involved in this latest book "Wild About Chiswick" by photographer and publisher Andrew Wilson. This 224 page coffee table style book contains some wonderful images of Chiswick, some of which are well known, some of which are less obvious. The diverse range of subjects and landscapes are truly wonderful and the book would be the ideal Christmas gift for many a Chiswickian. Andrew Nunn & Associates are selling 100 personalised editions from their office in South Parade with all proceeds going to the Tommy Hollis Childrens Fund. The fund was started by Kate and Chris Hollis after their son Tommy was tragically crushed by a falling lamppost on Sutton Court Road. The fund primarily benefits underprivileged, sick or orphaned children.